For anyone wondering why it's not cross-platform it's because you'd have to make a manage a big repository for all the code it'd take to handle different versions of GTK(Debian) and whatever PB is using on OSX; I think PB uses Carbon now which I think uses different classes than Cocoa for window instances. Basically, it'd be really costly to do it for Linux and OSX because of all the dependency dynamics. I've seen it done a lot for Windows with both commercial and forum solutions for PB. I have a few cross-platform utilities in PB I've tried it on and just rolling out a generic GTK skin solution was a nightmare because you have to support certain versions only and dependencies break easily. This kind of project is really interesting but it should be cross-platform. I know, it is not easy, and I am working hard on my side to make my own application framework project (raafal) cross-platform. I think this is the all point of using PureBasic, ultimately. But here is an advice: instead of trying to make every widget skinnable, why dont you try first to create a skinning library only for NDC (non-client) elements, but cross-platform ? 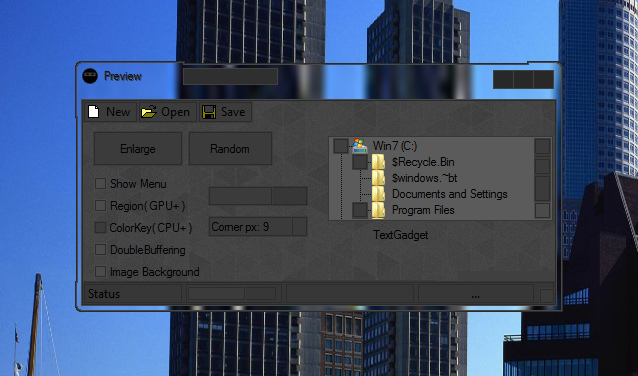 This way we could have skinned windows frames and menus, those elements that are system dependent. 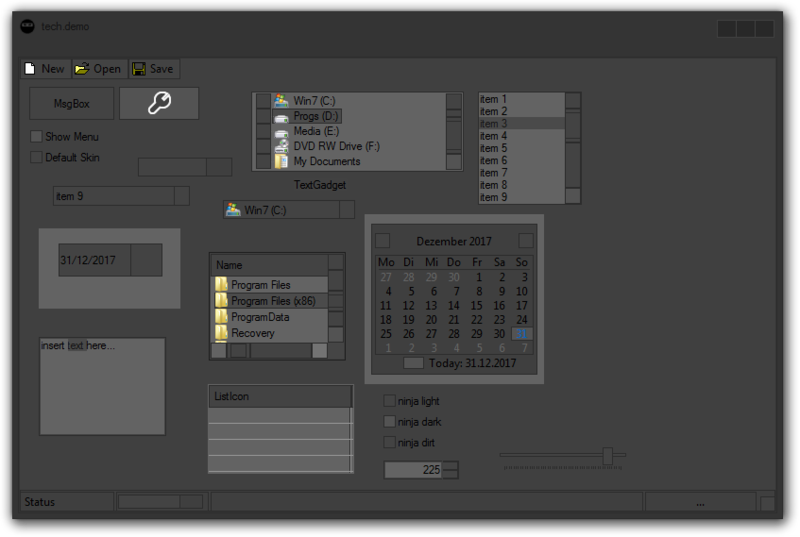 This way those who draw their own widgets (with OpenGL for instance) would be able to have everything customized. Then create another library that tackles only controls and widgets. I need this useful and beauty component. how can i download mdk source or dll or static lib? 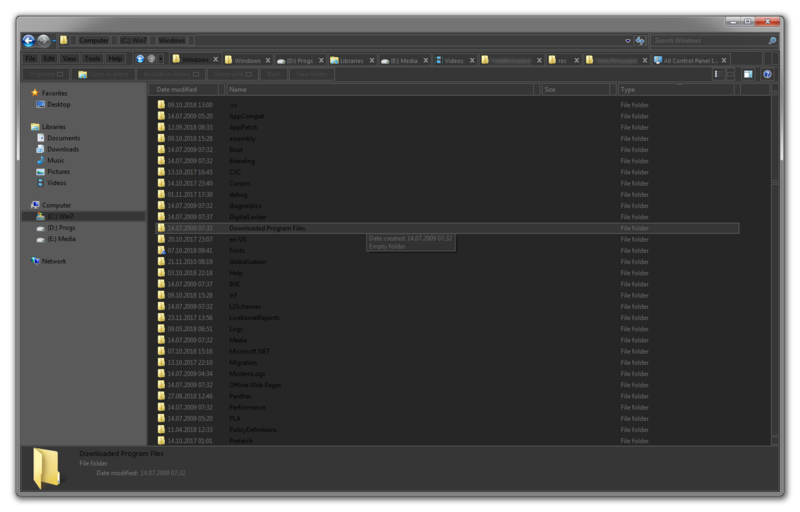 Anyways, why black labels on dark gray background, it's hard to read them.